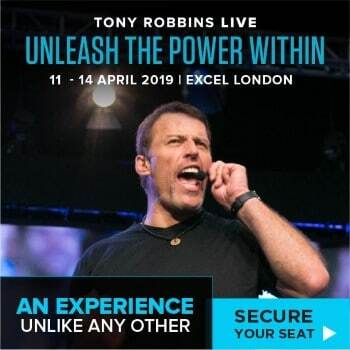 Anthony Robbins’ Unleash The Power Within in New York is a 3 ½ day live seminar purposely designed to help you create the quality of life you desire and deserve by unlocking and unleashing the forces and unlimited potential inside you. 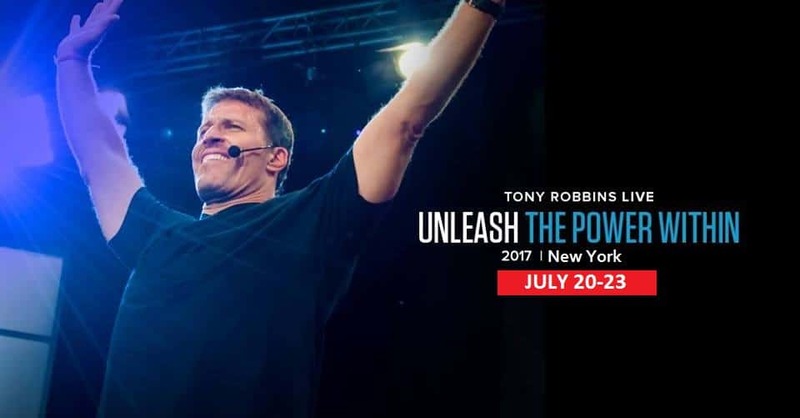 At this event, you will learn to break through any limitation you have in your life and destroy what has been holding you back from achieving your dreams and goals. You will learn the strategies and mindset to improve all areas of your life including your health, energy, relationship, and experience a life of financial freedom. This event runs from July 20-23, 2017. 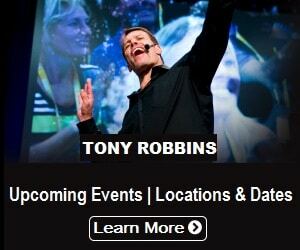 Tickets to this seminar include General Admission, Executive, VIP, Diamond, Diamond Premiere. Click here for early bird tickets and special deals! How do you sustain energy to get more motivated in life? In this video, Tony explained why many people seemed to be having a lot of problems when it comes to their body and sustaining their energy. Many people complain about fatigue, about the lack of energy, and about getting easily tired. The ultimate secret to changing this is very simple. It’s all about the art of making some lifestyle decisions and your beliefs about health. According to Tony, whatever phase of life you are experiencing at the moment, you have to possess something that drives you to do the things you want to do in order to accomplish your goal. You have to be passionate and dedicated. However, he said that you cannot be passionate about something if you are not in a good condition. And he meant, physically. To be able to do the things you want to do with gusto and enthusiasm, you need to be fully energized. Basically, most people think that one can achieve this by planning a regular exercise, healthy and ideal diet, and getting enough rest. But how can planning help you when you do not start doing them right away and move? Tony said that society these days no longer encounter injuries because of playing sports in the field, but people are injured because of working all day long in front of a computer (e.g. back pain, muscle kinks, etc.). One should somehow engage in physical activities and move their body in order to stretch those muscles that are already sleeping due to inactivity. Spend time using all the parts of your body. Walk, run, do daily house chores, take care of your kids, stroll at the park, or perform anything that makes you sweat. Today’s technology, however, does not help you accomplish these things because everything comes out instant. When you get up and prepare your food for breakfast, you no longer exert effort when cooking because cooking machines do that for you. You no longer hike when going to work because the car is already waiting for you outside. You no longer use stairs, because what are elevators for? Although these technological advantages are highly beneficial to us, we should still take note that it’s good to use the body even in simple things. Do not resort to machines and devices that make everything easy for you, because they are the ones that make you basically lazy and unmotivated to move. Diet, on the other hand, is another factor that creates a huge impact to the body. With most of the foods that are already loaded with chemicals these days, it is already hard to stick to a clean and healthy diet. But Tony said that if you are just committed to doing some changes in your lifestyle, then you can be as healthy as you want. 80% of success in anything depends on psychology while 20% is mechanics. It’s all about your belief because what you think is the one that guides your decisions. Ask yourself, how important are health and energy to you? To be able to make some lifestyle decisions, you have to create the base, challenge yourself, allow yourself to grow, and reward yourself when you’ve accomplished them and when you see some positive changes. When you’ve done these steps, you will soon find out that your energy levels improve. You will also feel more motivated to eat healthy foods and spend more time for exercises. This results in a stronger and healthier body. Remember that a strong physique makes you feel as though you are ready to take bigger challenges and you are inspired to achieve your goals. Ready to make a difference? Start making changes now!